Nominate your candidate 1 April - 31 July! Nominate your candidate 1 April–31 July 2019! ALD from science fiction to reality! Third MTP winner to receive the Nobel prize! 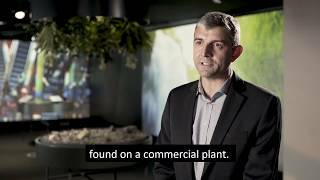 Watch our video about ALD! Finland's tribute to innovations for a better life. The prize is awarded every second year, the next time on 26 May 2020. 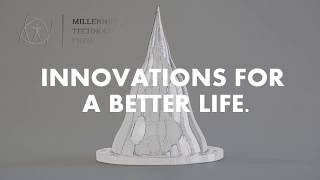 The call for 2020 Millennium Technology Prize nominations is open from 1 April to 31 July, 2019. Efficient way to protein modification, the World Wide Web, open source software, breakthroughs in stem cell research, blue and white LEDs, cost-efficient solar energy and new biomaterials as artificial tissue. 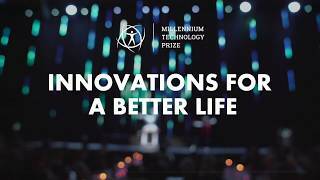 To date, the Millennium Technology Prize has been awarded to 13 remarkable innovations. The latest winner is physicist Tuomo Suntola (in the photo). The call for nominations begins approximately one year prior to awarding the Millennium Technology Prize. Nominations for the Prize are invited from organizations around the world and from all fields of technology, excluding military technology. The Prize can be awarded to an individual or to a team of any nationality. All individuals who deserve the Millennium Technology Prize for the proposed innovation must be named in the nomination. The Prize is intended for innovators in the active stage of their careers. Self-nominations are not accepted. To facilitate the work of the International Selection Committee, the Pre-Selection Committee screens the Millennium Technology Prize nominations for non-eligible submissions. Furthermore, the Pre-Selection Committee invites external experts to pre-review the most promising nominations. The International Selection Committee carries out a thorough evaluation of the Millennium Technology Prize nominations. Based on the evaluation, the committee then makes a consensus decision of whom to propose to the Board of Technology Academy Finland as the Millennium Technology Prize winner(s). The committee is composed of eminent professionals from academia and industry with broad knowledge and collective expertise covering the fields of the Prize. 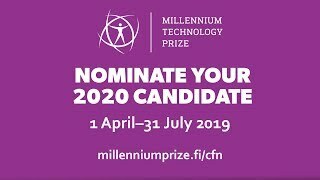 The decision of the Millennium Technology Prize winner(s) is made by the Board of Technology Academy Finland and is based on the proposal of the International Selection Committee. The 2020 Millennium Technology Prize winner(s) will be announced and awarded at the Award Ceremony on 26 May 2020. The Prize is presented to the winner(s) by the President of the Republic of Finland, patron of the Prize.